Gregory “Greg” Enrico Mascari passed away on Friday, September 28, 2018 at the age of 60. 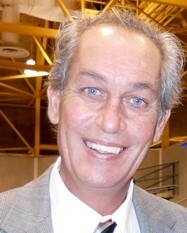 He was born in New Orleans on June 19, 1958 to the late Nicholas Francis and Doris Mascari. Greg attended Kennedy High School and the University of Louisiana at Lafayette where he completed his graduate degree in Architecture. He married Marlene Mascari, and they raised one beautiful daughter. Greg was extremely proud of his daughter, Mia Mascari and often would brag that she was his greatest accomplishment. Later in life, he met and married Donna Mascari, and she has been an invaluable partner in his second phase of life. Greg was a certified architect who loved the New Orleans Saints, Italian cooking, jazz music, tending to his plants, and a good practical joke. Above all, he loved his family and friends. We will honor Greg by remembering his beautiful smile, contagious laughter, and his crystal blue eyes. He will be dearly missed by his beloved wife of 10 years, Donna Mascari, and his only daughter, Mia Mascari. He is also survived by his siblings: Julian Mascari, Julie Chopin, and Wayne Mascari, four nieces, two nephews, as well as many other relatives and friends. Family and friends are invited to attend the visitation at Jacob Schoen & Son Funeral Home, 3827 Canal Street in New Orleans, LA on Wednesday, October 3, 2018 from 7:00-9:00 PM. A rosary will start at 8:00 pm. The Funeral Mass will be Thursday, October 4, 2018 at 11:00 AM in the J. Garic Schoen Chapel with burial immediately following at Hope Mausoleum. In lieu of flowers, the family requests contributions to St. Jude Children’s Research Hospital.